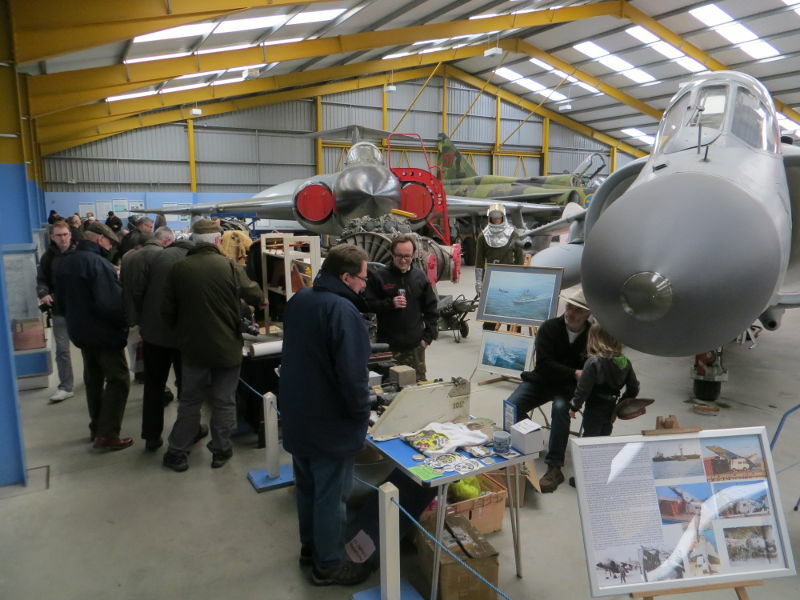 We have taken the decision to cancel the Indoor Aeroboot /Aerojumble Sale that was due to take place in Hangar 2 on Saturday 3rd March, 2018. This decision has been reached following some detailed in-house discussions; online and offline checks with Aeroboot sellers and buyers; and a near constant assessment of the weather outlook. It was not taken lightly and we do appreciate that this could upset some people. However, many sellers and buyers often travel long distances to attend the event and it was felt necessary to give these people as much notice as possible of our intentions. The museum site has been open today, but we are experiencing frequent snow showers and this may in itself make the museum site difficult to negotiate; plus the long-term outlook for the rest of this week is more snow and near freezing temperatures every day, which would make the event on Saturday 3rd March a huge challenge to host safely. We have opted to re-arrange the sale for Saturday 14th April 2018, which we believe does not clash with any other known Aerojumble type event, any other museum event, or any major events on the adjacent Showground. Existing seller locations / passes will remain valid for the April event; but if anyone is unable to make the April date we would ask them to make contact and we will arrange to for a refund. Once we have an idea of any tables becoming available these will be offered to those seller who were on the waiting list for March 3rd. Emails will be sent out to our Aeroboot contacts this evening, but if you know of anyone who was planning to attend, either as a seller or as a buyer we would be grateful if you could make them aware of the cancellation and the re-arranged date. Once again sorry for any inconvenience these changes may cause but we are convinced that it is the right decision. More updates will be released for the sale on 14 April 2018, as and when they are confirmed. Royal Naval Air Station Yeovilton International Air Day’s latest addition is a show first. Making its Air Day debut, we’re hugely excited to announce the Hellenic Air Force F-16 Demo Team ‘Zeus’ will participate in the flying display on Saturday 7 July. Flying the state-of-the-art F-16C Block 52+, the team is named after the ancient Greek sky and thunder god. Established in late 2009, the demo team has made just two previous UK visits. 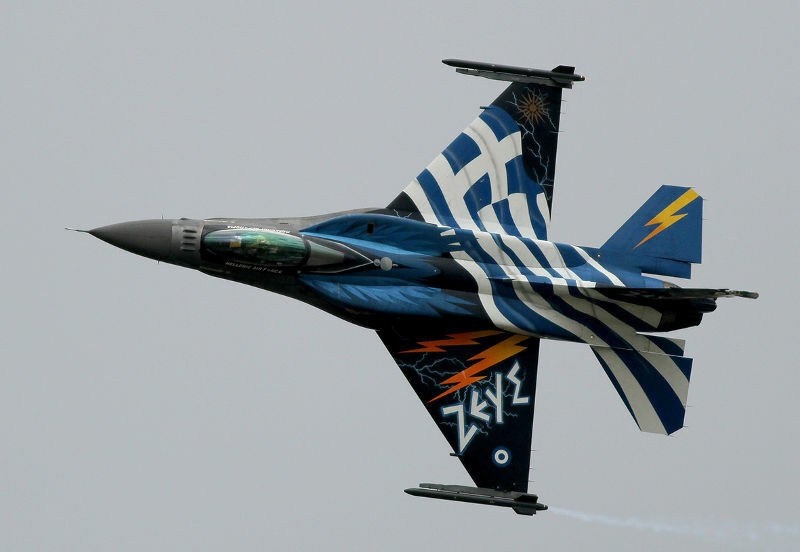 Its stunningly-painted F-16 performs a striking solo display, flown this year by Major Loukas Theocharopoulos. Further contributions come from the Czech Air Force with their JAS 39C Gripen solo display. Its display at last year’s Air Day was rewarded with the ‘Best Fixed Wing Display’ award (joint winners with the French Navy Rafale pair). At the controls will be Captain Ivo Kardoš, whose electric routine underlines this very dynamic aircraft’s superb manoeuverability. First flown in 1988 – 30 years ago – the Saab Gripen is a dashing lightweight multirole fighter that equips the Czech Air Force’s 211th Tactical Squadron, based at ?áslav. Alongside the Gripen, the Czech Air Force will also provide its solo Aero L-159 ALCA (Advanced Light Combat Aircraft). Unique on the European airshow scene – the type equips no other NATO air arm – the ALCA’s energetic display combines agility, speed and grace to outstanding effect. A highly successful jet trainer – the multirole-capable L-159 from the 212th Tactical Squadron is tasked with advanced training, ground troop support, air combat and reconnaissance. The Greek and Czech aircraft join already-confirmed Austrian, Canadian, French and Lithuanian assets, at an increasingly-international Air Day, with more additions yet to be confirmed. Discounted advance tickets can be booked at www.royalnavy.mod.uk/yeovilton-airday. Celebrate and commemorate 100 years since the formation of the Royal Air Force at this special event. Our NEW restaurant, Claude’s, will be serving traditional Sunday Fayre so you can enjoy a fantastic day out and a delicious meal with the whole family. There might even be a birthday cake, after all it’s not every day the Royal Air Force turns 100! On the 1 of April 1918 the Royal Air Force and the Women’s Royal Air Force was formed in the midst of the First World War. Join us to hear the voices of the men and women that are part of our RAF Story. The Front of House Theatre company will be breathing life into these amazing stories set amongst our First World War Exhibition. Serving RAF personnel will carry the Baton across the country and around the world, visiting 100 locations in 100 days. We are lucky enough to share in the first part of the journey. The team will be running from central London to the RAF Museum in Colindale. Come and cheer them on and show your support and help them commemorate and celebrate a century of the RAF and inspire future generations. 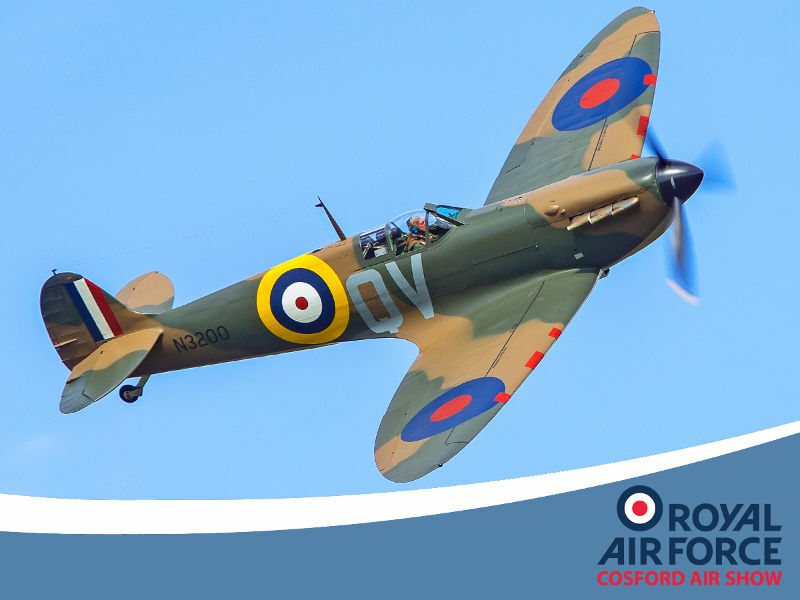 Iconic Second War World fighter aircraft, including Spitfires & Hurricanes, are the latest aircraft added to amazing list of attractions for this year’s RAF Cosford Air Show. Visitors to the event on Sunday 10th June, which celebrates 100 years since the formation of the Royal Air Force, will bear witness to incredible aerial displays from an unparalleled assortment of historic aircraft. Today organisers announced that a rare ‘Mark 1a’ version of the Supermarine Spitfire would be performing in the flying display, a first for the RAF Cosford Air Show. This particular Spitfire, known by its registration N3200, fought during the Battle of France in 1940. It was tasked to provide air support for the evacuation of Dunkirk, protecting the British forces below. During combat with German fighters, N3200 was hit by a German aircraft and forced to land on the beach at Sangatte, and the pilot taken as a prisoner of war. The Spitfire remained on the beach, slowly buried in the sand, and remained there until 1986. The airframe was returned to the UK in 2000 and after a lengthy restoration flew again in 2014. Spitfire N3200 recently starred in Christopher Nolan’s critically acclaimed film ‘Dunkirk’ thus repeating the true history of this aircraft. As well as the flying displays, an assortment of vintage aircraft will be flying in to RAF Cosford to bolster the RAF100 static exhibition at the Air Show. Today it was confirmed that a genuine Battle of Britain veteran Hawker Hurricane would be present, surrounded by WWII re-enactors and period vehicles, to recreate a historic scene from a Battle of Britain fighter airfield. Other vintage aircraft recently added to the ground displays include WWII training aircraft such as the Tiger Moth & Harvard. Visitors are encouraged to buy their Air Show tickets soon, at the discounted price of £25.00 per person, which are available from the Air Show website. From Tuesday 17th April tickets for the Air Show will be priced £29.00. A special open day which will include a demonstration taxi run of one of the most iconic airliners ever to grace the skies takes place at Dunsfold Aerodrome on Saturday 10th March. ‘ZA150’ was the very last VC10 of 54 built at Brooklands in the 1960s and was one of the last two to fly with the RAF from Brize Norton in Oxfordshire. On its retirement in September 2013 it was acquired by Brooklands Museum and flew in to Dunsfold, where a team of dedicated volunteers maintains it in running order. Entry to Dunsfold Park is by pre-purchased ticket only with the option of morning or afternoon sessions for access on board, with the demonstration run at around 13.00. Tickets are available from the Brooklands Museum website: www.brooklandsmuseum.com or by visiting the Museum Shop and are priced at £10 for adults, £5 for children. The VC10’s graceful ‘T-tail’ and four rear-mounted Rolls-Royce Conway engines made it one of the most distinctive and elegant aircraft of its era. Only the supersonic Concorde amongst airliners was quicker, and the VC10 remains the fastest subsonic airliner across the Atlantic. With its quiet, spacious cabin and exceptional performance, the VC10 was a favourite of passengers and crews alike, fully justifying its epithet of Queen of the Skies. 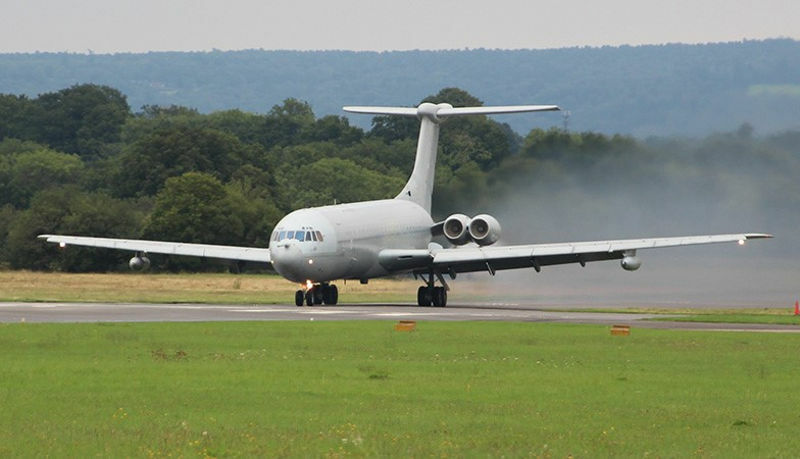 The aircraft is one of three VC10s that form part of the Vickers fleet owned by Brooklands Museum. On the Museum site in Weybridge, Surrey is the Sultan of Oman’s VC10 which His Majesty Sultan Qaboos bin Said al Said most generously donated after the aircraft went into retirement in 1987. It quickly became and remains, one of the most popular exhibits in the Museum’s collection as it retains its luxurious gold-highlighted interior. Also on the Museum site is the fuselage of VC10 G-ARVM “Victor Mike”, which has been restored inside to commercial passenger jet standard, along with a special exhibition and video presentation charting the unique legacy of this aircraft. It is also hoped that the Reg Day Memorial Museum at Dunsfold Park will be open on the 10th March. This houses a remarkable collection of World War Two memorabilia concerned with all that happened during World War Two on the airfield. 2018 marks the centenary of the Royal Air Force and the award-winning RAF Museum will celebrate and commemorate this anniversary through a major transformation of its visitor experience, sharing the RAF story on site and online. 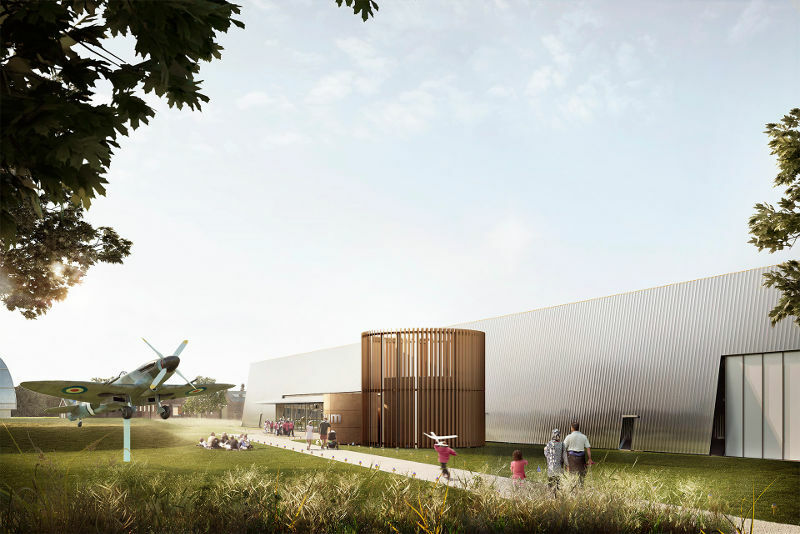 A multi-million-pound transformation of the RAF Museum’s London home will welcome visitors to discover a new green heart of the community in Colindale, North West London, reflecting the historic RAF Hendon airfield. The newly landscaped site includes outdoor picnic areas, children’s playground, restaurant, visitor car parking, and fully accessible pathways. Two new, innovative galleries will explore the first 100 years of the RAF, its roles today and invite visitors to imagine its future contribution and technology. A third new exhibition will focus on the story of the RAF from the Falklands Conflict of the early 80’s to current operations. Each exhibition will represent the diversity and inclusivity of the Royal Air Force and focus on the people behind the blue uniforms. Over 500 previously unseen artefacts relating to RAF history will be on display including logbooks, uniforms, lucky charms and technical equipment. These items have been carefully selected by our Museum curators for their ability to engage visitors with a fresh perspective on the RAF story. The Museum is also launching RAF Stories – an online digital project which will inspire participants to share accounts of the Royal Air Force. RAF Stories will include stories, not just from former and serving personnel, but also from their friends and family as well as partners who work closely with the RAF. RAF Stories is a global effort to uncover tales ranging from humour to heroism. The newly developed exhibitions will open at the end of June 2018 as part of the wider calendar of RAF 100 events celebrating and commemorating the RAF’s Centenary across the country. 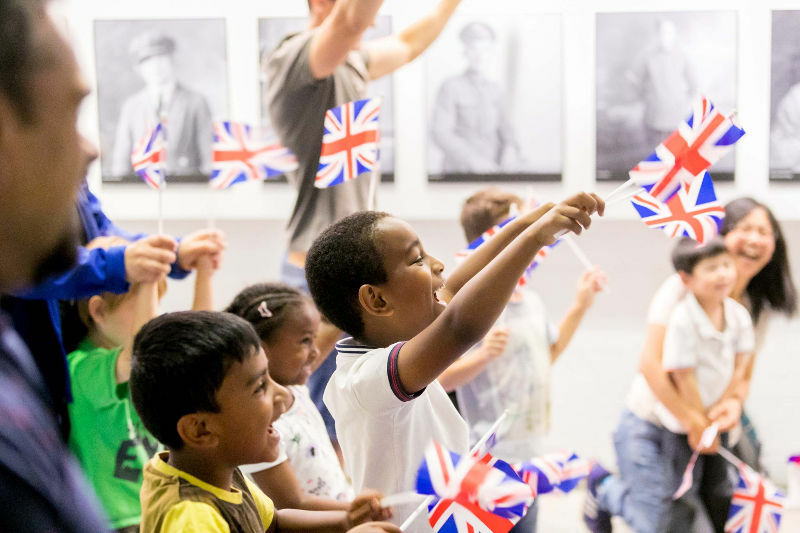 The Museum is also running a series of special public events to mark the RAF Centenary across both its sites including a Spitfire 10k run; Open Cockpit evenings and family events such as the Hendon Pageant and the Family Festival of Flight. Old Buckenham Airfield is delighted to confirm that its annual Airshow will add another icon of Aviation to Norfolk’s skies this summer on the 28th and 29th July. For the first time the Airshow will feature an airliner; in this instance arguably the most influential in history, the amazing Douglas DC3. At the same time, the Airshow, winner of the 2016 EDP Hoseasons “Family Event of the Year” is unveiling a new Family Centre at the Airshow, offering a range of family facilities rarely found at an outdoor event. Very occasionally mankind gets something so right at the first attempt that it really can’t be improved upon. Aviation has one such example; after 81 years the Douglas DC3 is still in active commercial service every day, no small feat for an aircraft which many people regard as the basis of the airline industry. Capable of landing on just about anything (including, with modifications, water and ice) the DC3 is one of only three airliners capable of landing at Old Buckenham, where it will do just that over the Airshow weekend, as well as flying a display each afternoon. 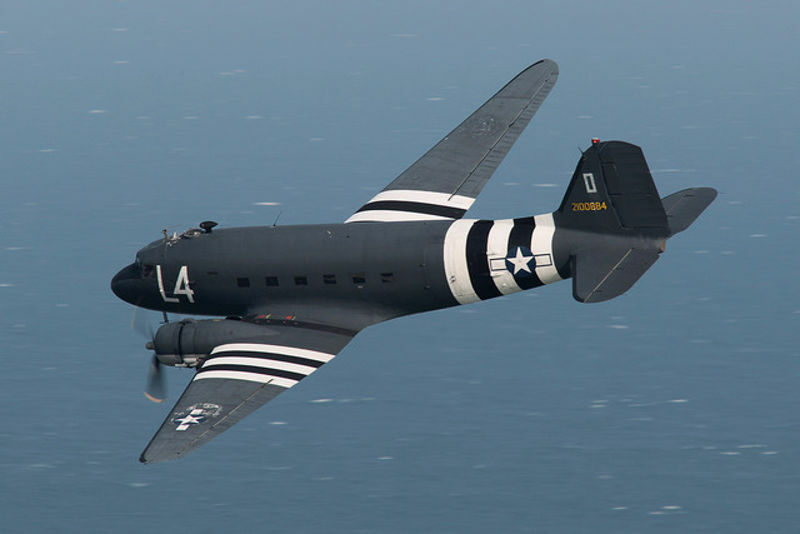 Significantly, this year’s Airshow will be the first occasion in more than 70 years where a DC3 will land at Old Buckenham; the last arrived during WWII, carrying on a mission typical for the aircraft; evacuating wartime casualties from Normandy to nearby Wymondham Hospital. The DC3 will take its rightful place amongst a host of other icons already confirmed, including the extraordinary B-17 Flying Fortress, Sally B and Supermarine Spitfire Mk. 9, MH434; for many the most famous single engine aircraft in existence. On the ground, the Airshow will build on its credentials as one of the regions favourite family events. The event’s new Family Centre will offer a range of facilities to help families have the best possible day out. The new Centre will feature Nappy Changing and Breast Feeding areas, among other services. This facility adds to a host of factors which were central to the Airshow being awarded the coveted EDPHoseasons Tourism Awards “Family Event of the Year” in 2016. The Airshow continues to offer free admission for the under 12’s, over an acre of funfair, gourmet food village and quality ice cream without rip off prices; all essential in ensuring that families have a great, yet affordable day out. Matt Wilkins, Airshow Organiser, said “Every minute of every day for 81 years a DC3 has been airborne and working somewhere in the World, usually saving lives and always performing a mission that no other aircraft is capable of. We’re delighted that, after more than 70 years, Old Buckenham will once again play host to a true giant of the skies; which will be with us on the ground and in the air all weekend. Our main mission is to introduce future generations to the world of aviation and the Airshow’s latest innovations in the form of the Family Centre will make it easier for everyone to enjoy the weekend. Tickets for the Old Buckenham Airshow are available online at oldbuckenhamairshow.com and are selling at a faster rate than in 2017, which set new records for advanced tickets sales; resulting in a sell-out crowd. 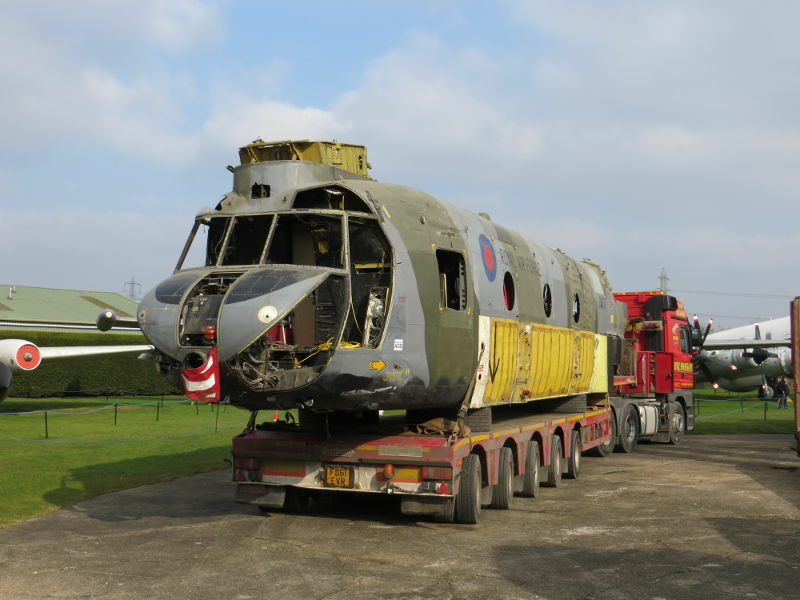 Earlier today (Wednesday 7th February 2018) the latest addition to Newark Air Museum’s collection of airframes arrived at the museum site in eastern Nottinghamshire, close to the county border with Lincolnshire. Today’s arrival was an incomplete Aerospatiale Puma HC Mk 1 helicopter registration XW208. 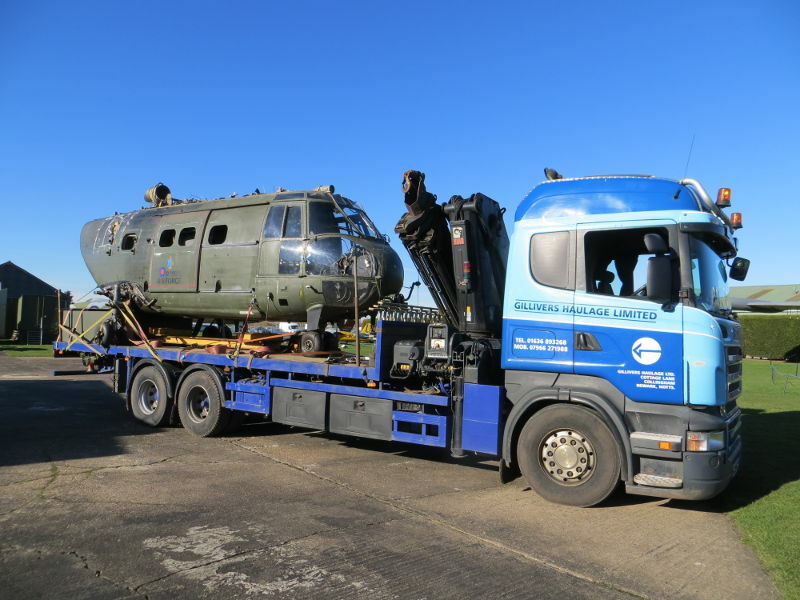 The helicopter was transported by local contractor Gillivers Haulage, the short distance from RAF Cranwell, Lincs. ; where it had been used to train Loadmasters in slinging techniques and load securing methods. Puma XW208 was off-loaded alongside Display Hangar 1 on the museum’s Northfield Site, while in this location it will be worked on as and when additional parts are secured for the project. 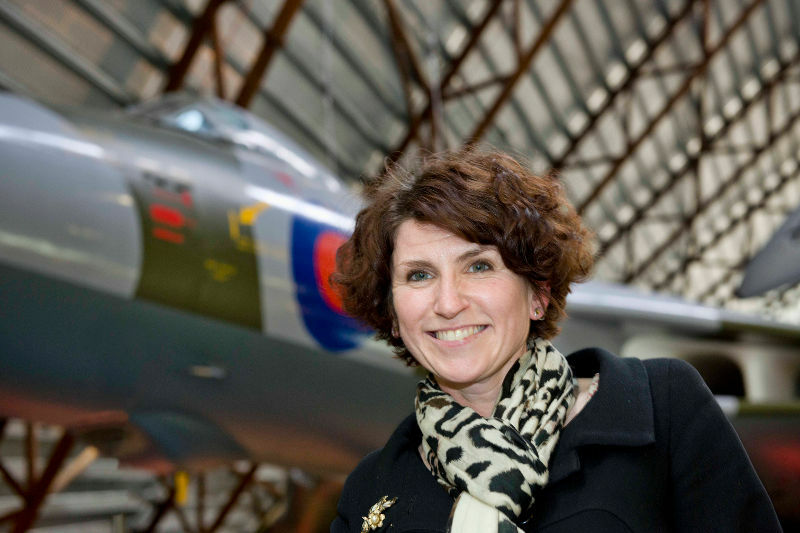 The Royal Air Force Museum is proud to announce that our CEO – Maggie Appleton has been appointed as president of the Museums Association. Previously a board member of the MA, Maggie will begin her presidency on 1 April 2018. Maggie has over twenty-five years’ experience in the sector, focusing on the difference that museums and culture can make to people’s lives. After starting her career at the Royal Armouries, she worked in community museums in Stevenage and Luton, going on to be the chief executive of Luton Culture before moving to her current role at the RAF Museum in January 2015. She led the development of Stockwood Discovery Centre, which opened in July 2008, and was behind a campaign to save the medieval Wenlok Jug for Luton and the nation after its export was stopped in 2006. In 2012 she received an MBE for services to museums and heritage. Her presidency begins on the centenary of the Royal Air Force’s foundation, which heralds a £26m transformation at the RAF Museum’s London site, with a focus on storytelling. The MA’s trustees are elected by the membership and nominations are currently open for a member to join the board in April.